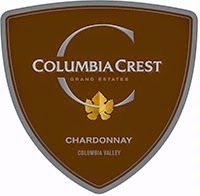 Here's a rich, round style of Chardonnay from Columbia Crest in their highly reliable Grand Estates line. This one has really soft edges but just enough acidity to keep it honest. It's a crowd-pleaser for sure. Expect to pay $11 or so, but I've seen prices from $8 to $13 recently. Raise a glass!